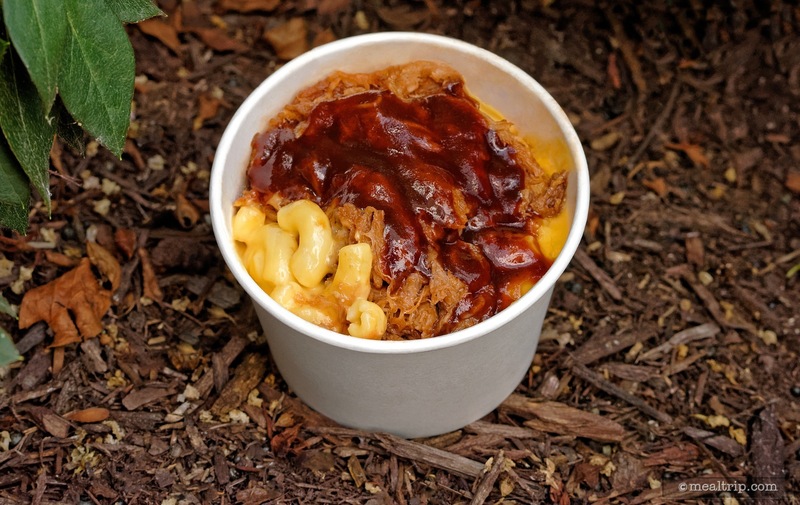 The Min and Bill's Dockside Diner listing is a Kiosk or Cart dining location at Hollywood Studios featuring American and Sandwich and Salad cuisine. There are 4 photos in the Mealtrip photo gallery for this location and dining period. 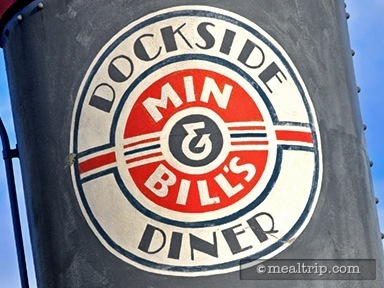 The Min and Bill's Dockside Diner listing currently has a score of 40 out of 100. 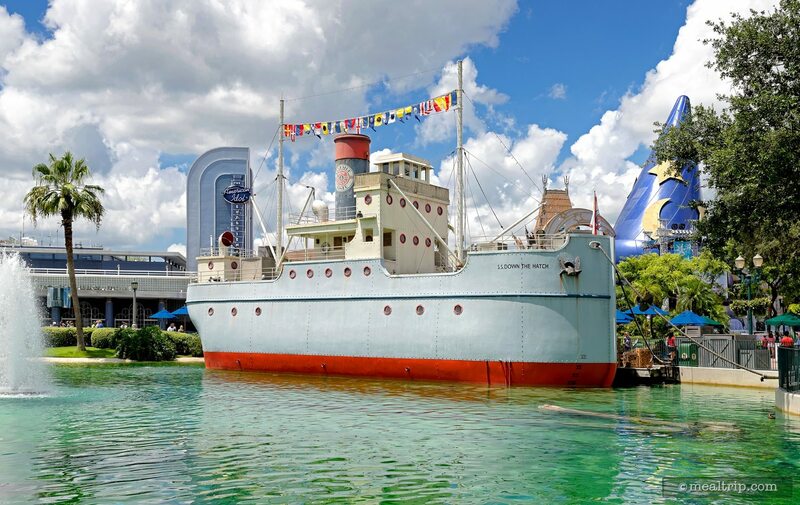 Click here to read all of the reviews for this location, or log in to Mealtrip.com to add your own review for Min and Bill's Dockside Diner. 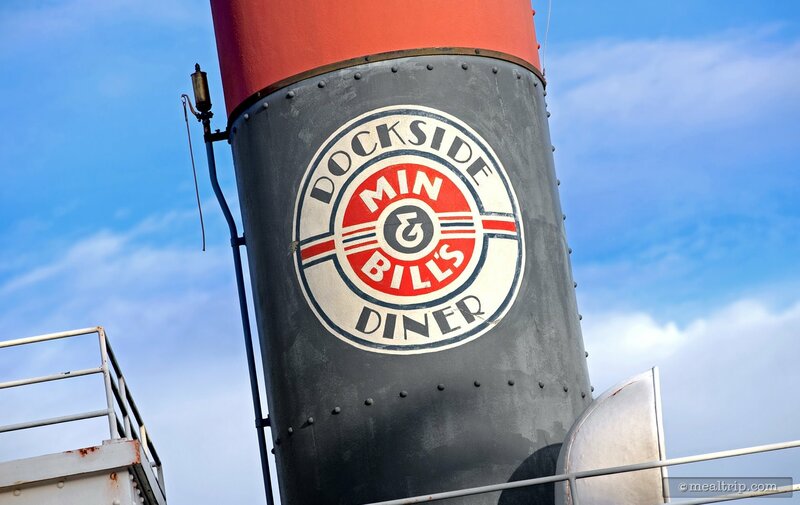 This Min & Bill's Dockside Diner logo appears on a smoke stack on the boat, above the front counter. 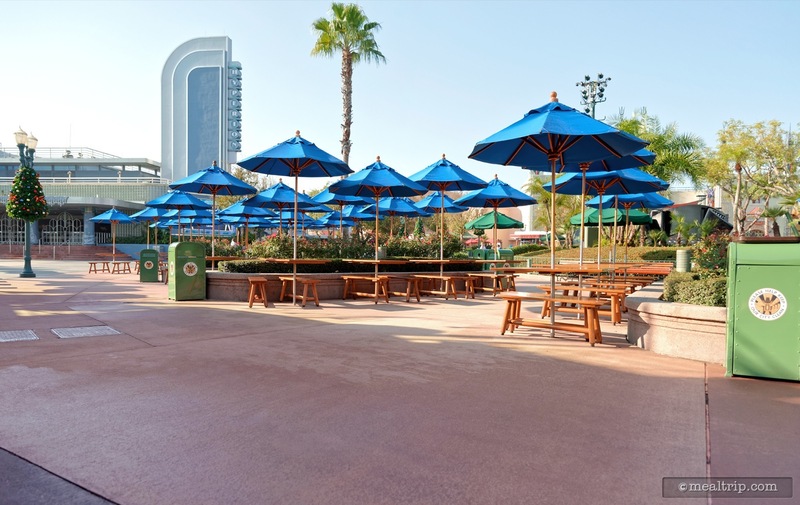 Seating at Min and Bill's Dockside consists mostly of umbrella covered tables. Min and Bill's as seen from across Echo Lake.